Citizens on Patrol, or COPS, recently purchased a Traffic Logix SafePace 100 driver feedback sign to slow cars down in school areas and on rural roadways. COPS is a small community group in rural Enfield, Nova Scotia that serves as the eyes and ears for the local police department when they can’t be there. They conduct fundraising, patrol neighborhoods in their own vehicles, and respond to community concerns. Residents in Enfield often complain about speeding cars, especially near schools and on stretches of rural roads. 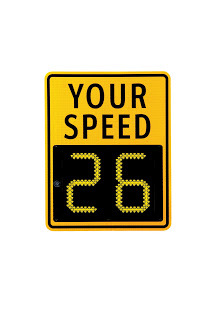 The citizens group decided to purchase a radar feedback sign to help inform community members of their speeds and remind them to slow down. With a limited budget, the compact SafePace 100 speed sign was the perfect solution with its low price tag and full featured capabilities. COPS purchased the radar feedback sign with the optional 3 cell battery, which provides up to two weeks of autonomous power. They also chose the optional data collection feature, which lets them monitor traffic and analyze traffic patterns and the effect of their signs. 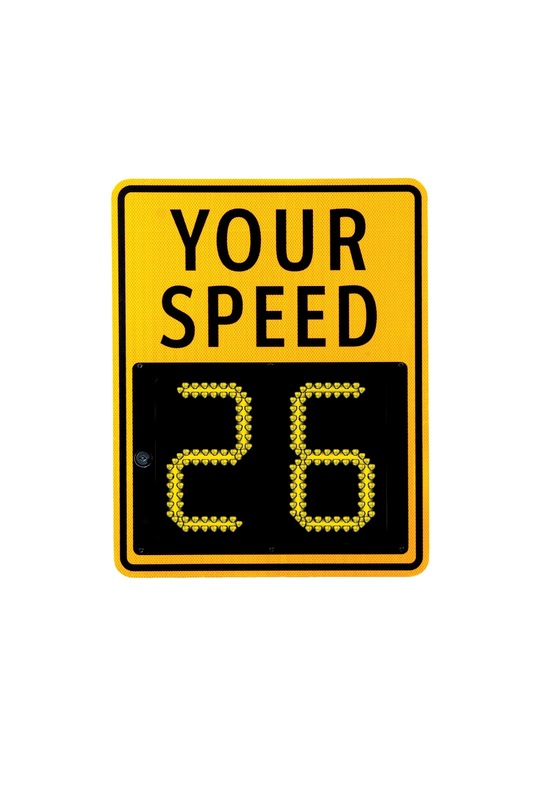 The speed sign includes stealth mode, which allows the sign to appear blank to motorists while capturing valuable traffic data for comparison purposes. While the SafePace 100 sign is smaller than the full size SafePace 400 sign, it offers an excellent alternative to communities or groups with small budgets.